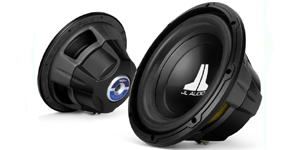 Home > Car Audio > Subwoofers > 12"
If you want balanced bass that will sound great no matter what type of music you play the 12" subwoofer is a great choice. With a 12" sub you will get a perfect balance of low booming bass, along with quick clean sounding bass that can keep up with fast paced music. A 12" subwoofer is the most balanced sub that will sound great with any type of music.